This rustic antler wreath forms a crafty cradle for a glass globe votive holder. 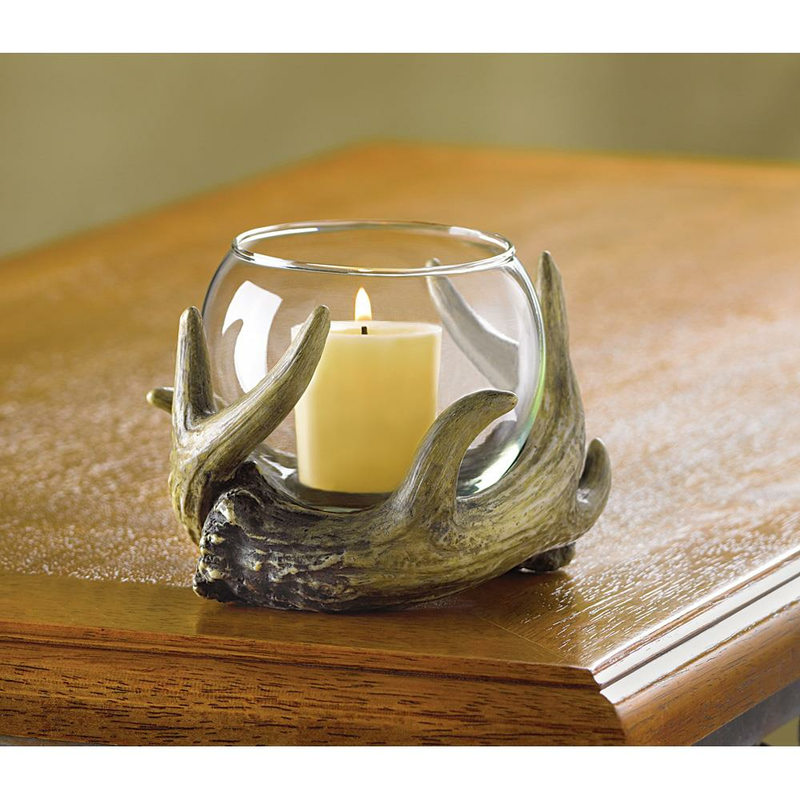 A wonderfully woodsy touch of nature to warm up your cabin-style or country décor! Weight	0.7 pounds. 5.38" x 4.88" x 3.63". Polystone, Glass. 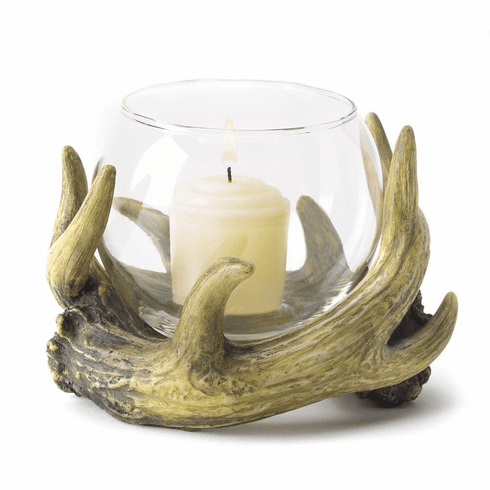 Candle not included. UPC Number: 849179000905.